You want to hear from your listeners but handling phone-in requests is expensive and time-consuming. You've said to yourself: There has to be a better way! And now there is. Gets Radio SMS Plus text messaging solution from Dataslices. The uses of our text messaging system are only limited by your station staff's imagination: Listeners can send in their requests directly to radio RJs using their mobile phones. They can vote in contests and participate in polls â€“ and our software will automatically tabulate the results, allowing you to view them in real time as they are texted in. 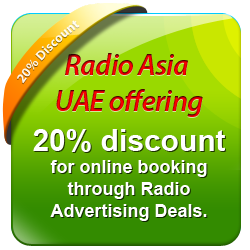 Radio SMS Plus Text Messaging Solution for Radio Advertisers is the perfect way to offer added value to current and potential advertisers. As part of your advertising package, give your advertisers the ability to retain valuable customer information when they run spots on your station. In response to an incentive heard on-air, listeners can text in your advertisers keywords to get more information or for a chance to win a special prize. There is no other method of collecting such valuable, opt-in subscriber data.